My goal is to help you get ready for summer in the month of May! 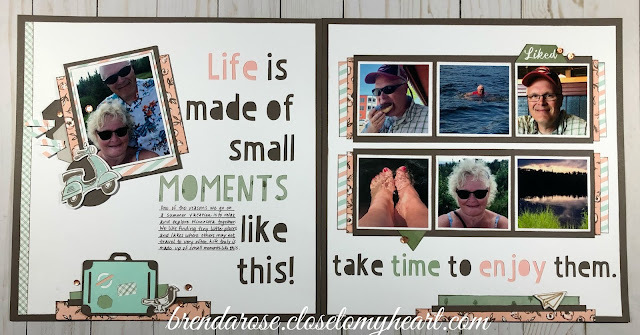 I know that we spend less time in the craft room and more time outside. 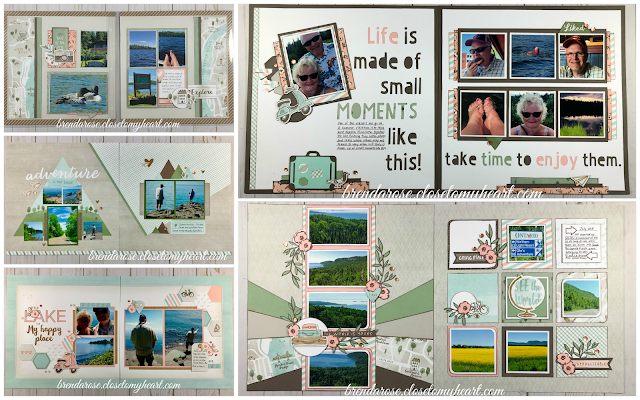 These layouts were designed so that you can be ready for 70 of those summer photos. All classes have an in-home option or are available as a long distance kit. I know that many of you like taking all of my classes so I have a special offer this month! 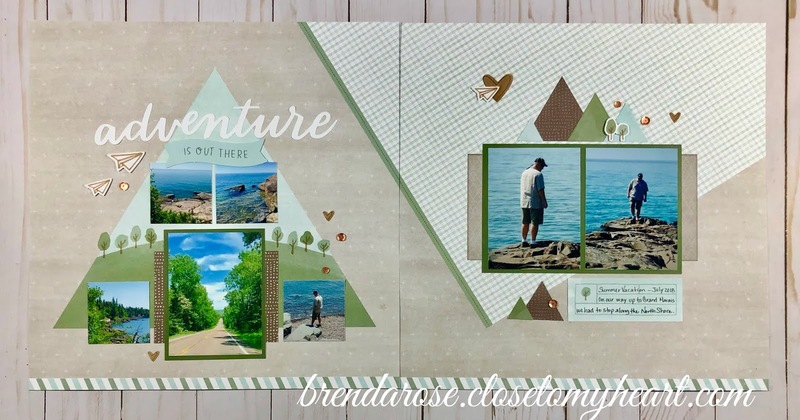 When you purchase all three of my Scrapbook Workshops in May, you will receive $25 in FREE product from the BRAND NEW Seasonal Expressions 2 Idea Book! You can choose paper packets or stamps for this free product. PLUS all three kits will ship at a reduced rate of $12 saving you $10! That is my gift to you in May to thank you for being such fabulous customers and trusting me with your scrapbooking needs!! Look for a payment button at the very end to order all three kits. Click on the name of each workshop for more details. Your workshops will be mailed the second week of May. 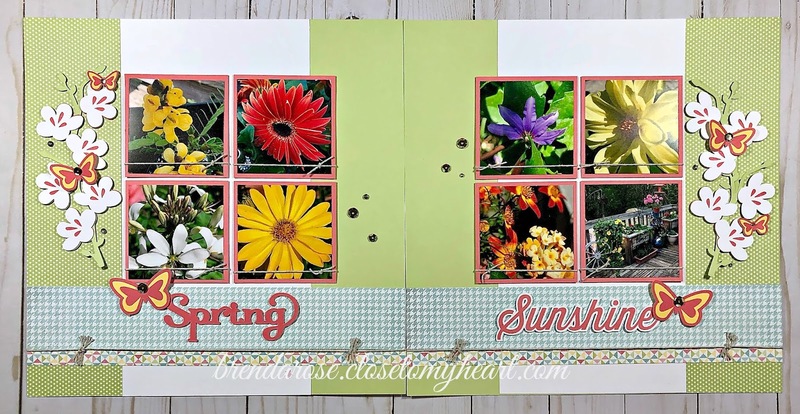 I will contact you after May 1st when the Seasonal Expressions 2 Idea Book is available to see what FREE product you would like!! Click the button to purchase all three workshops!! Thank you so very much! This workshop is created with a paper packet coming out on May 1st called Sweet Girl. When I started working with this paper, it made me feel like a breezy summer afternoon. 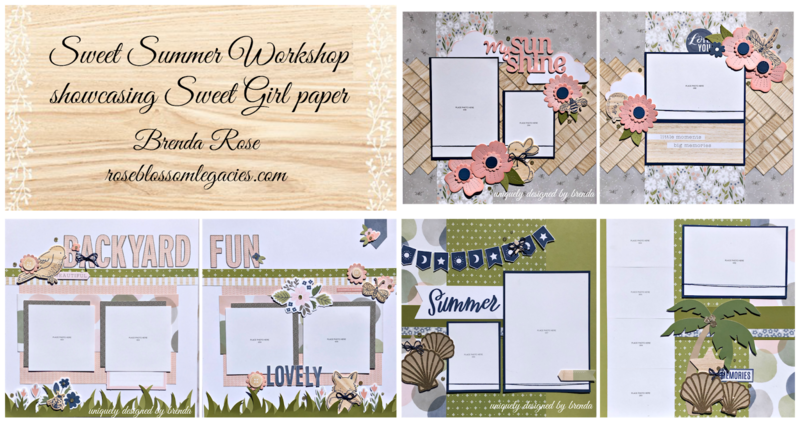 So I decided to call this workshop Sweet Summer instead! 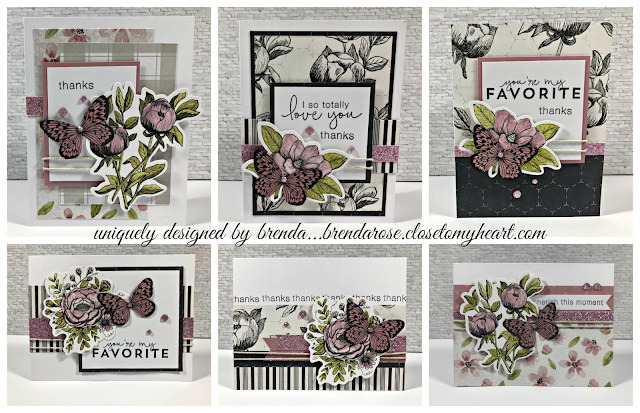 I will be teaching you the herringbone technique in this class, and you will get to use a bouquet of our new Stitched Flowers Thin Cuts! We're going to go to the beach for the next layout. 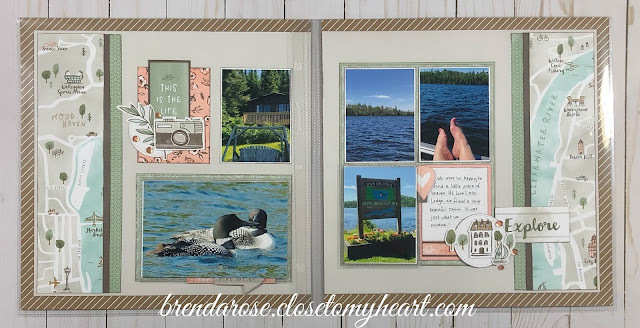 Now in Minnesota, we don't have any palm trees but that is not going to stop me from putting 7 of my favorite lake photos on these pages! 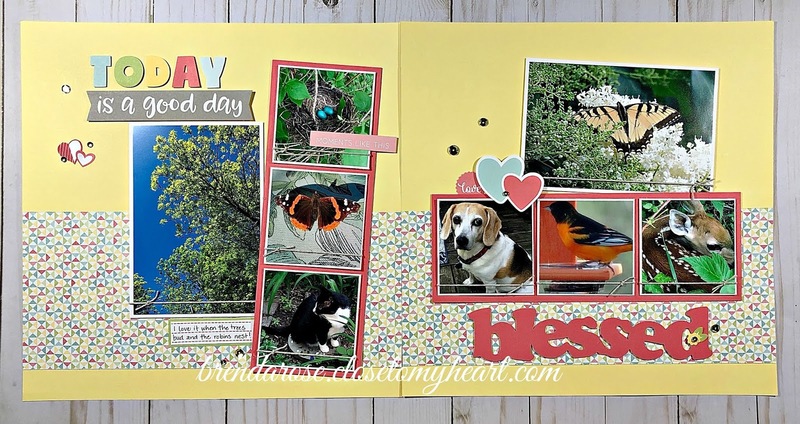 If we take the time to relax, let the breeze flow through our hair, and enjoy the sound of the birds, this is a GREAT layout for lazy summer days! This paper will not be released until May 1st, so the kits won't go out in the mail until the week of May 8th. I am so excited for you to play with the paper and put together these unexpected layouts! The World is Yours - Coming May 1st! 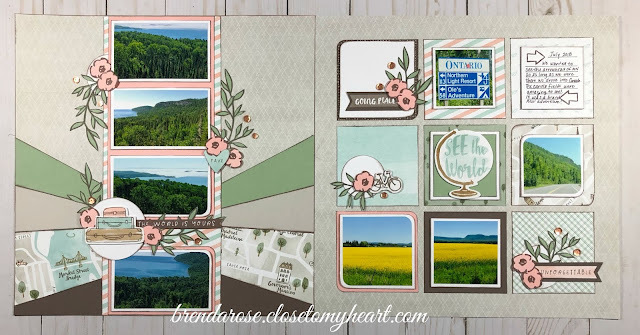 I am so excited about the May National Scrapbooking Month special!! 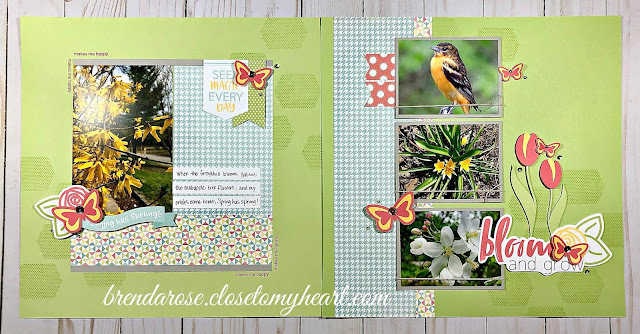 I'll show you my layouts, and then share all that is included. 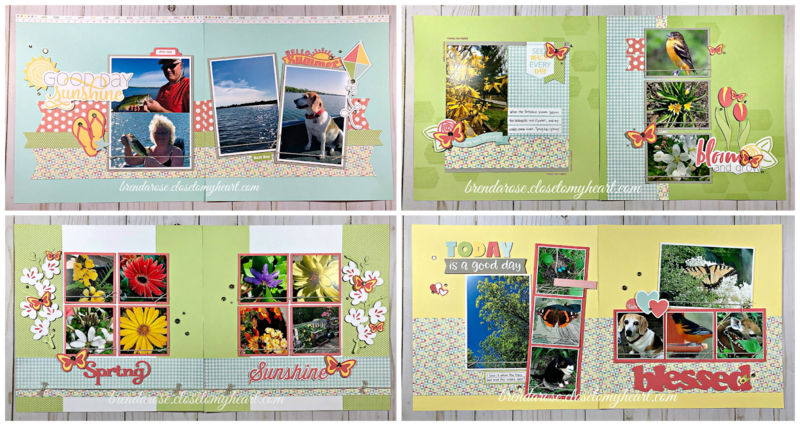 This workshop is a combination of Cut Above layouts and traditional layouts. 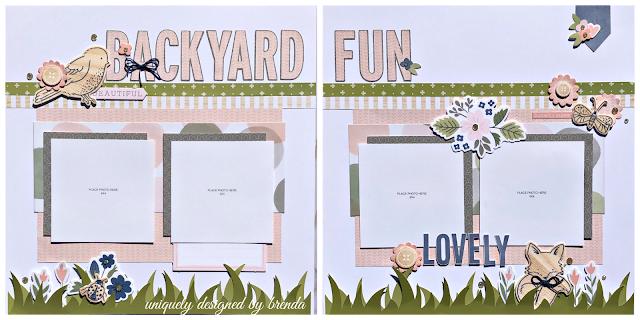 This is a Cut Above layout, and you will love how easy and fabulous this layout is!! This is also a Cut Above layouts. 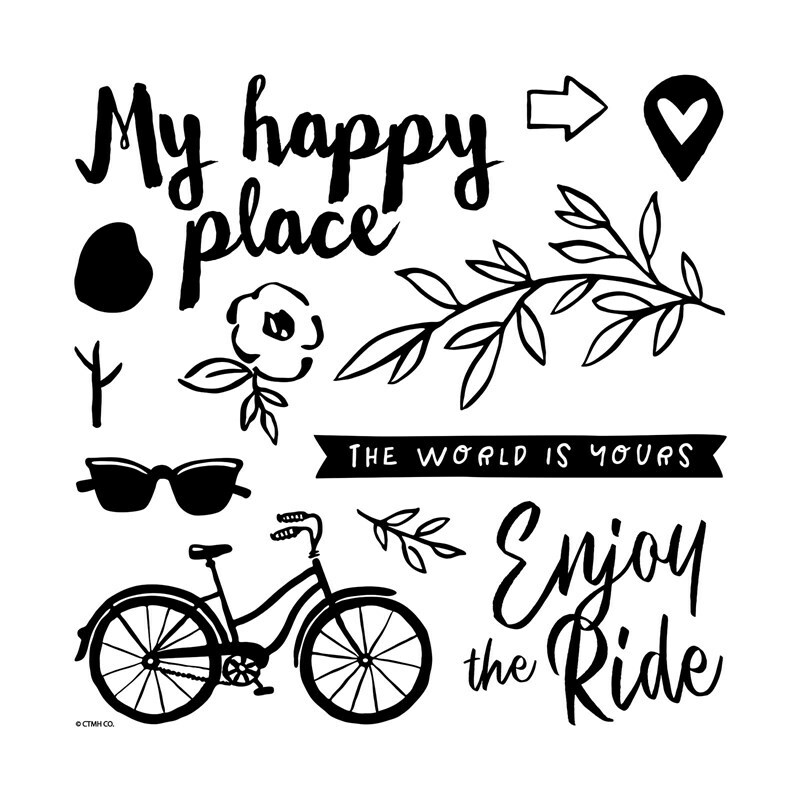 The original title is "going places," and the workshop contains those stickers. 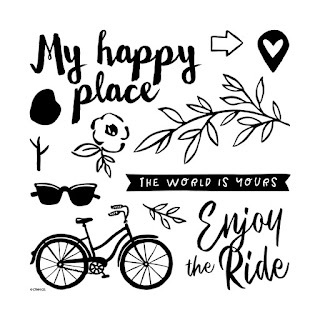 I've stamped my title page with our alphabets and "my happy place" from the The World is Yours Stamp Set. Oh yeah - did I tell you that you get a D-sized stamp set with this kit? 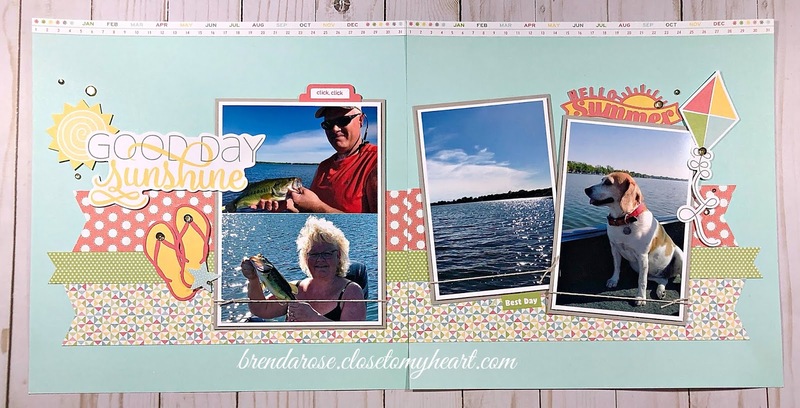 This is a traditional layout, and I've used two flip flaps on it. You will receive those in your kit, and by the way, you will get Memory Protectors for all your layouts, too! This is a traditional layout, and don't you love that negative space title? 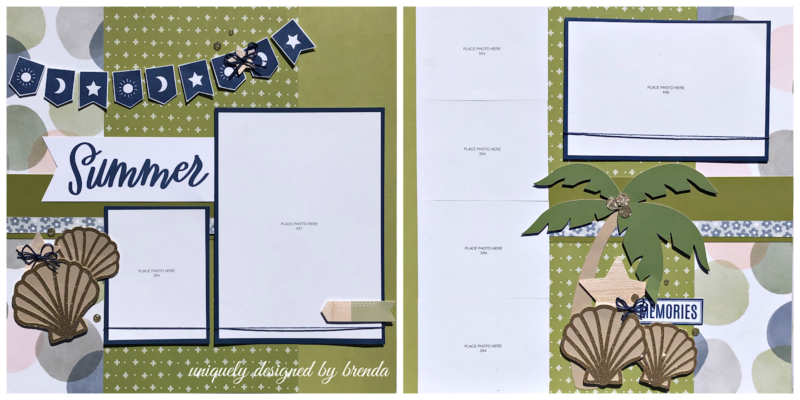 All your Cricut cuts are included in the kit! I love the way this layout was designed! I have never created a starburst layout, but it was easy and fun! The leaf branches and flowers are from The World is Yours stamp set. For this class, I will have a Facebook group to walk you creating all of these pages with ease! To order your Long Distance kit, use the PayPal link below. I will start shipping kits the first week of May! Last week I shared the Zoe Workshop that Close To My Heart created for you. (You can view that post HERE.) I received the kit yesterday, and I wanted to share my finished layouts. You'll notice a few changes and a few additions. 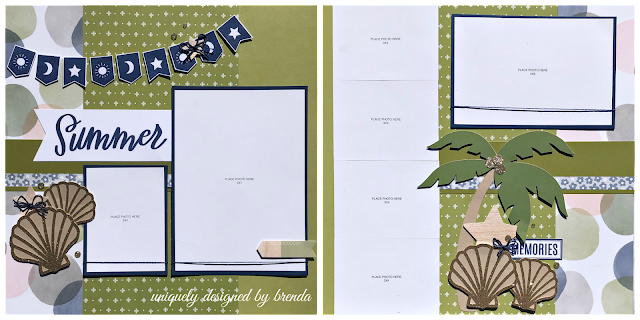 When you purchase this workshop from me, it will come pre-cut with all the Cricut cuts and extra photo mats. To create this, you will need Smoothie and Sweet Leaf inks. Hop on over HERE to order your Zoe workshop today! I love this paper so much! I wanted to create a card kit for my stamping club, so I am also offering it to you! These colors are so amazing together, and I will explain the two different kits and extras after sharing the photo. so that you have a lot of extras! 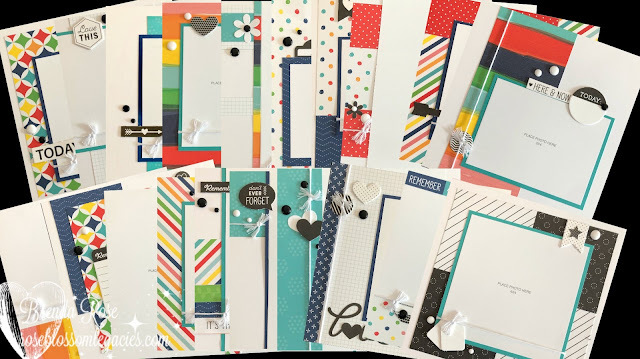 Once you start making cards with this paper, you are going to want to make many, many more!! to complete the card. You will not receive any extras. Please select the kit and/or inks that you need. You will receive the supplies approximately 7-10 days after ordering. 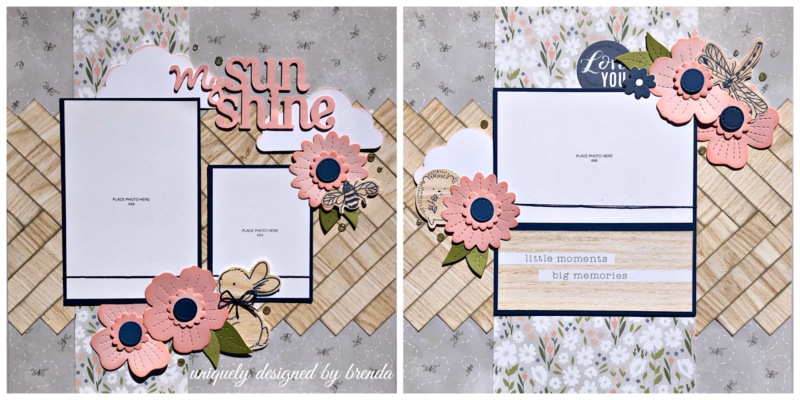 I have a fun workshop for you!! I will be teaching this workshop twice, and I would love for you to attend! If you are unable to make it, I will certainly send you a long distance pre-cut kit. The cost of this class is $38, and you will make (4) sunshiny, bright, and cheerful two-page layouts and 6 cards - WOW!! When you come to class, you will be able to use my inks and sequins. If you would like to sign up for one of the classes, CLICK HERE, and let me know which class. If you would like to order a long distance kit, click the payment button below. If you need Heather, Willow, and Smoothie inks, let me know, and I can order them for you. Just in time for Spring - a brand new Mini Album Workshop! I designed this album with everyday life in mind. 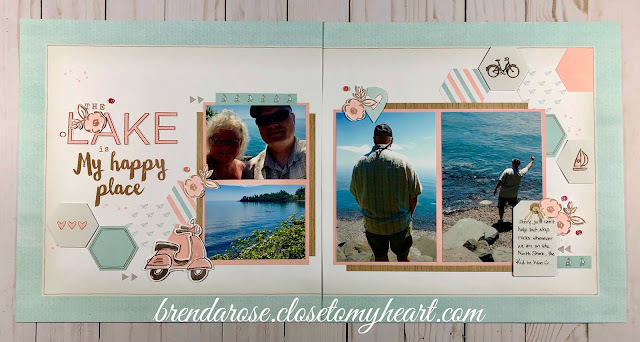 I've use our Short Story album in our Story by Stacy collection to bring this together for you! There are 20 pages perfect for documenting your memories, and it holds 22+ photos! 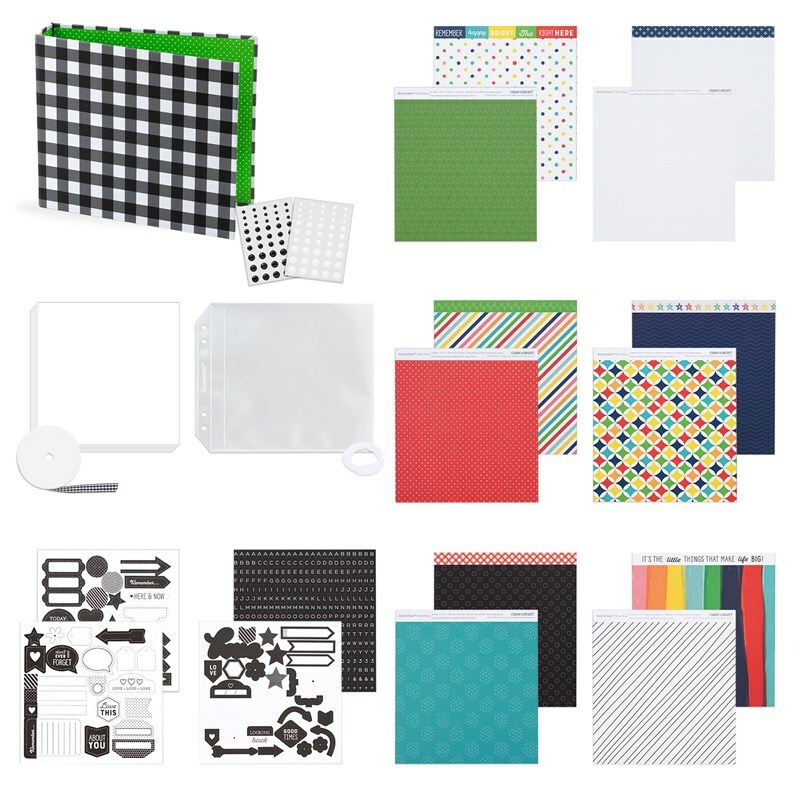 All the materials will be pre-cut and sorted for you so that it is easy for you to put it together. The cost is $40 (plus shipping) for the workshop.